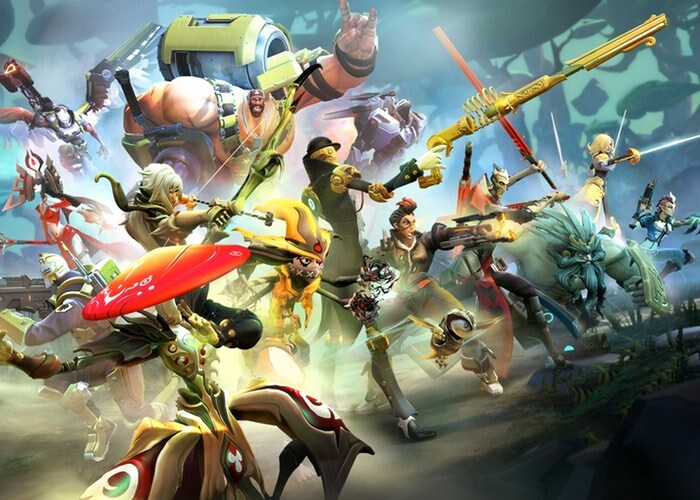 Battleborn the new first person shooter being developed by Gearbox Software in preparation to be launched on May 3rd, 2016 to be playable on PC, PlayStation 4 and Xbox One will be holding an open beta development phase next month during April 2016. The Battleborn open beta dates have now been confirmed by Gearbox today and will be taking place on April 8th for PlayStation 4 consoles and later in the month on April 13th for both PC and Xbox One consoles. Check out the official story trailer below to learn more about what you can expect from the upcoming Battleborn game which will provide the ability to try out the first two story “episodes” and two of the game’s three competitive modes as well as all 25 playable heroes in the open beta. As well as the full progression system and all loot that is available within the game. A legion of cosmic horrors and a traitorous scumbag are trying to consume the universe, and so far they’ve been successful. It’s time for the factions to stop fighting over the scraps and take action to save Solus, the last star. You and this motley crew are all that is left to save it. Live together, or die alone. Be the badass you were born to be! Join the Battleborn in the fight to save the universe! Be the badass you were born to be! Join the Battleborn in the fight to save the universe! Command 25 unique heroes through Battleborn’s playable episodic Story Mode. Dive in solo or fight alongside friends in up to 5-player online co-op and 2-player splitscreen.